What Is a Transport Nurse? Paramedics who take a turn in their medical careers and enroll in nursing school often find themselves back in the business of transporting patients once they get licensed. It's familiar and they are particularly well-suited for the job. Paramedics learn to think independently during a crisis and can react quickly when the patient's condition deteriorates. They aren't usually working as paramedics anymore. Instead, former paramedics find themselves in positions intended for nurses outside of the typical RN roles like those in hospitals and clinics. Unlike the typical paramedic ambulance role, which is dominated by answering 911 calls and other emergency work, transport nursing jobs focus on the transport of patients between facilities. Being a paramedic before becoming a nurse is not a prerequisite to transport nursing. Plenty of registered nurses are perfectly suited to this industry. Many nurses just don't know these jobs exist or aren't sure how to get into them. In order to provide great patient care and contain costs, hospitals have become much more focused in the services they provide at each facility. In the 1990s, hospitals began moving away from the general services that had been so common and developed specialties that could take over an entire institution. Children's hospitals are known for completely excluding adult patients—or simply restricting adult care to obstetrics and gynecological services. There are hospitals dedicated to neurology and others dedicated to cardiology. Sometimes, a hospital will split into two or more campuses to provide adequate support for specialized care in one or two specific areas. All of this specialization necessitates the use of transportation services to move patients between facilities. What is known in the ambulance industry as interfacility transfers (IFTs). Ambulances have been providing IFT services for many years using paramedics and emergency medical technicians (EMTs). In some cases, patients needed care outside of the scope of practice of a paramedic or EMT. When that happened, usually the hospital would provide a nurse or a physician to accompany the patient to the destination. Hospital-based providers riding along in the back of an ambulance to provide care is much less common today. Liability concerns and providers' comfort level with handling patient care in an alien environment led to many hospitals no longer allowing their caregivers to go with the ambulance. So, ambulances began bringing their own nurses, and the critical care transport (CCT) ambulance was born. CCT (sometimes called SCT, for specialty care transport) is a different level of service than that of a 911 ambulance. Each state has its own regulations when it comes to EMTs, paramedics and nurses, but the fundamentals are pretty much the same. Paramedics work on standing orders (often called guidelines or protocols) that are developed by physician medical directors. In some states, the paramedics are licensed while other states consider them certified. Some would say that the difference is meaningless during practical application and is only relevant in the legal realm. I won't get into that here other than to say that the limitations of paramedic licensure in many states are the impetus for nurses climbing in the back of an ambulance to provide care. Nurses are the continuum of care providers. Nurses carry out the hands-on daily healthcare that patients require in the hospital setting. Physicians make decisions and perform certain procedures that directly alter a patient's condition—surgery, as an example—but the follow-up care is almost entirely conducted by the nurse. When a physician makes a care decision, she issues an order that is usually fulfilled by a nurse. What nurses have that paramedics don't is the ability to adapt to new care options. Paramedics often have narrowly defined scopes of practice that are focused on providing life-saving care and stabilization to patients during emergency situations. The whole idea of paramedic intervention is to make sure the patient is delivered safely to the emergency department where he or she can receive definitive care. Paramedics can do focused care in the emergency setting, usually without direct physician oversight. They have been trained in the tactical application of healthcare to achieve desired results in a narrow range of emergent environments. Nurses, on the other hand, are the workhorses of the healthcare system. They can perform almost anything the physician asks of them. If it's a new drug or device, a nurse can usually use it after being oriented with an in-service on its specific uses and complications. That versatility is the very reason why nurses are needed for IFT ambulances. As hospitals have developed into healthcare silos, the patients that need to be moved from facility to facility have become much sicker and in need of more complicated care. One of the more extreme examples would be patients on extracorporeal membrane oxygenation (ECMO). Those patients have a machine taking their blood out of their bodies, oxygenating it externally, and returning it to them. Once only the purview of cardiac bypass surgery, ECMO machines are now being used to keep patients alive in many different situations in much longer time frames. When those patients have to move from one facility to another, nurses, rather than paramedics, provide the care. One of the reasons that former paramedics make good CCT nurses is because they have the right responses to critical changes in patient condition. They can recognize emergencies and react quickly to address them. That's the most important expectation of a CCT nurse: decisive action. CCT nurses must be able to make unilateral decisions in the heat of the moment and take action on behalf of the patient. She has to be ready to do things without the input of a physician. In many cases, CCT nurses work alone or with an EMT in the back of the ambulance. In the interfacility world, the EMT's scope of practice is very limited. EMTs are trained for immediate-need, life-threatening situations. The more nuanced patient condition changes that are common in CCT transports require a strong nurse to recognize and address. CCT nurses have to be comfortable with complicated intravenous drip calculations. Nearly all CCT patients come with an IV and most have at least one medication infusion running during the transport. To be successful, a CCT nurse must be able to handle the spaghetti-like tangle of IV lines that snake out of the most complicated patients. He'll be responsible for the infusions during transport and whatever complex interactions those infusions cause within the patient. To make things worse, the stress of a patient moving from a relatively stable hospital environment out to a bumpy, loud ambulance can actually change the way certain medications interact. Many of the patients who need a ride in a CCT ambulance are intubated and ventilator-dependent. Unlike in the hospital, CCT nurses rarely have a respiratory therapist to assist them. The CCT nurse has to be ready to set a ventilator and troubleshoot it when things go wrong. Plus, CCT nurses must be capable of performing endotrachial intubation. It's one more benefit of those former paramedics; they've been intubating since paramedic school. Don't worry if you're thinking about applying for the job, however. CCT nurses are usually taught to intubate by the ambulance company as part of the orientation process. Ambulances don't just roll down the road. They also roll down the runway. Related to CCT nurses, flight nurses do very similar care in the air. There are two kinds of flight nursing jobs: fixed wing and rotary wing (helicopter). Rotary wing flight nurses are by far the most well-known. These are the jobs most similar to what paramedics do on 911 ambulances. Helicopter medical crews provide care both in interfacility transfers and at the scene of emergencies, usually in rural or wilderness settings. Helicopter medical crews, at least those that respond to emergency scenes, are often comprised of a nurse and a paramedic, along with a pilot. The nurse takes the lead when the job is of an interfacility nature—the patient is being moved from one hospital to another—and the paramedic steps up to lead when the patient is being delivered off the side of a mountain. Fixed-wing medical crews are more varied in their roles. There is usually a flight nurse and sometimes a flight paramedic. Fixed-wing crews can also have flight respiratory therapists, flight physicians, flight nurse practitioners, and flight EMTs. These crews are responsible for moving patients over long distances. 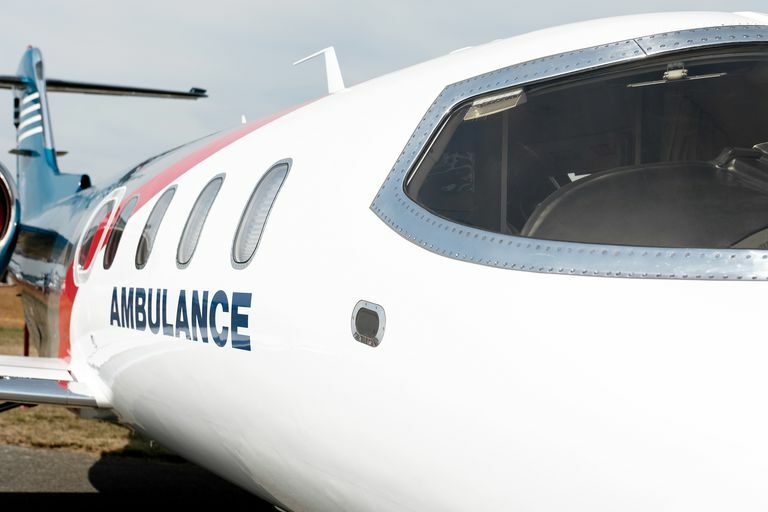 Fixed-wing patients are often very similar to the patients on the CCT ambulances. Sometimes, the CCT ambulance delivers the patient from the hospital to the airport to meet the fixed-wing flight crew. More often, a regular paramedic ambulance will pick up the flight crew and bring them to the patient. They'll prepare the patient for the flight and the ambulance will transport the whole group, patient and all, back to the airport for takeoff. Like a fixed-wing medical flight crew, specialty care teams provide care for special patient populations in the back of a ground ambulance. The most common of these specialty care teams is the neonatal intensive care unit (NICU) team. Usually, there's a neonatal specialty nurse, a neonatal respiratory therapist, and a neonatal physician on board these ambulances. An EMT will do the driving and some supportive care. In some cases, there will be a second EMT as well. Specialty care teams are not limited to NICU care. There are specialty teams for stroke care, cardiac care, pediatric care—almost any specialty patient population you can think of. These teams are much more common in areas with academic teaching hospitals, but as care standards are developed and refined, the teams crop up in areas well outside the influence of medical schools. NICU teams are now common all over the country. Which Types of Hospitals are the Best Employers?